The texture file for this look is not currently attached to this model, but would work perfectly if copied to it. We include it here out of interest. The texture's current location in the game database is: Creature/ironhordewolf/IronHordeWolfBody.blp. 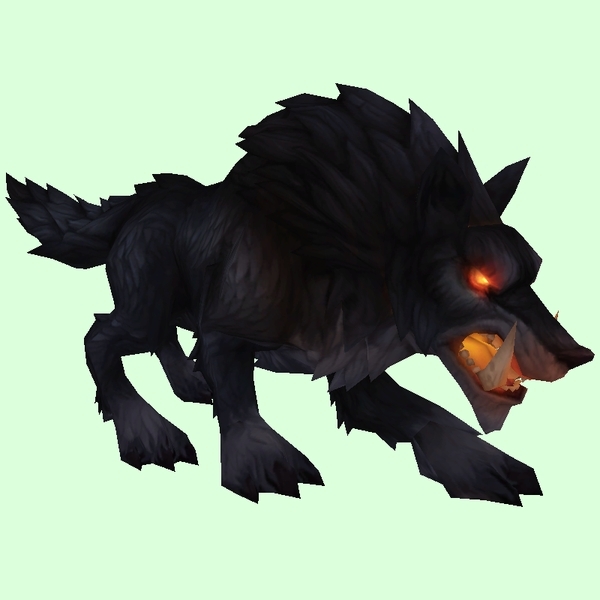 It's actually the base skin for the fiery, armoured Iron Horde Wolf. Without all the armour it takes on an almost haunted appearance!